Sealed Bids for the Lease of the former South Lebanon Municipal Building, 99 N. High Street, South Lebanon, Ohio will be received by the Village of South Lebanon at the Village Municipal Building, 10 N. High Street, South Lebanon, Ohio 45065, until Wednesday, May 1, 2019, at 2:00 p.m. local time, at which time bids received will be publicly opened and read. 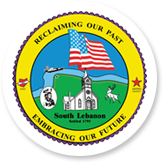 In general, the project consists of the leasing of the former South Lebanon Municipal Building, 99 N. High Street. The free electronic Bidding Documents which includes detailed specifications and bidding requirements may be obtained by contacting Jerry Haddix, Village Administrator, at jhaddix@southlebanonohio.org. Hard copies are available for an additional fee and are non-refundable. For additional information regarding the project, please visit the website www.southlebanonohio.org or call the Village at (513) 494-2296. The Village will not be responsible for full or partial sets of bidding documents, including Addenda if any, obtained from sources other than the Village. Bids must be signed and submitted on the separate bidding forms and sealed in a properly identified envelope. The bid security shall be furnished in accordance with Instructions to Bidders. No Bidder shall withdraw his/her Bid within 60 days after the actual opening thereof. The Owner reserves the right to reject any or all Bids, waive irregularities in any Bid, and to accept any Bid which is deemed by Owner to be most favorable to the Owner. The bid notice is also available at www.southlebanonohio.org.